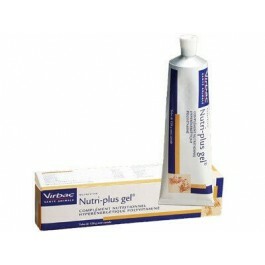 NUTRI-PLUS GEL is especially useful for young, rapidly growing animals, pregnant or lactating animals, or cats and dogs recovering from illness or surgery. It is a nutritional supplement containing essential vitamins, minerals and trace elements that also provides extra energy for your pet. 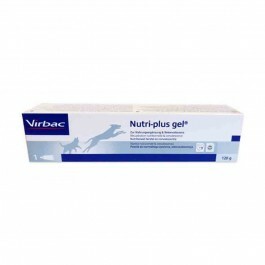 Thanks to its excellent palatability, NUTRI PLUS Gel is easy to use, and can help your pet even in the event of a reduced appetite. Glucose syrup, soybean oil, cod liver oil, hydrolyzed animal proteins, magnesium sulphate heptahydrate. One teaspoon (~5.4g) per 5 kg, twice a day. To entice the animal to eat, put a small amount in their mouth before giving the full recommended amount. 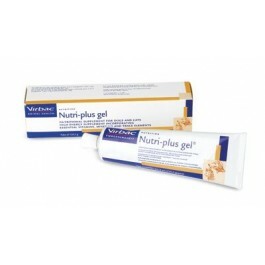 NUTRI PLUS Gel can be given directly into the mouth using the cannula or mixed with food. NUTRI PLUS Gel can be administered twice daily until the complete recovery of the animal, or over the entire period of physical exertion.